What is the difference between a psychotherapist, psychologist psychiatrist and/or counsellor? Psychologists are non-medical specialists in the treatment and diagnosis of mental health issues. They provide assessments and/or therapy without the use of medication. While Psychiatrists are medical doctors specializing in mental illness, they diagnose and prescribe medication. Psychotherapists (now a regulated profession in Ontario) provide therapy for mental health, addiction and emotional issues. Psychotherapists offer a variety of healing modalities, delving into the family history to heal repetitive patterns. Counsellors/Social Workers usually focus on resolving one specific problem and provide links to external resources. 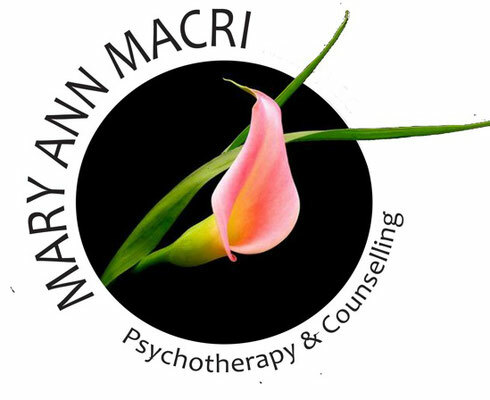 I am a Registered Psychotherapist and a trained Human Service Counsellor/Social Service Worker. Drawing upon both disciplines, I can help you delve into the root of your problem and build resources to help actualize your goals in therapy. What happens in the first therapy session? It's natural to feel nervous about your first session! During the first session, after informal introductions, we will discuss confidentiality and some of the the guidelines of our therapy sessions. After that's out of the way, we can begin to talk about what brought you to therapy. I'll ask you some questions to help you to reflect on your current situation and your family history. At the end of the first session, I will offer you some insight and feedback and summarize how I think I can help. Together we will set goals for therapy and set a schedule, so that we can both stay on track. See... it's not that scary..
Do I really need therapy? Good Indicators that you may need therapy is that you feel like you're spiraling out of control, can't concentrate at work and your symptoms are worsening. You're feeling at the end of your rope, your friends and family may be urging you to seek help and are finding it hard to continue to support you. We all need professional help at some point in our life. The aid of friends and relatives is limited and may add further hardship to your relationships. Seeking counselling is a sign of courage and strength not weakness! How much does it cost? My hourly fees are $100 CAD, ( some exceptions to those who are experiencing financial) hardship. Most sessions are one hour but some therapies will require 1.5 hours (i.e. regression therapy). My fees are not covered by OHIP, or insurance plans. How long will it last? Our time together can range from one session to months or even years. It depends on your individual needs. I will not keep you in therapy longer than is required. I will encourge you to graduate or to diversify your treatment (i.e. group therapy) ultimately it is your choice when to end therapy. If emergency - please call 9-1-1 or proceed to nearest hospital emergency department.